Piece this traditional quilt in a NON traditional way! Perfect intersections, very little pinning, and SUPER FUN to make! Beautiful Points every time! Use Easy Piecing Grid printed foundation to make your masterpiece. 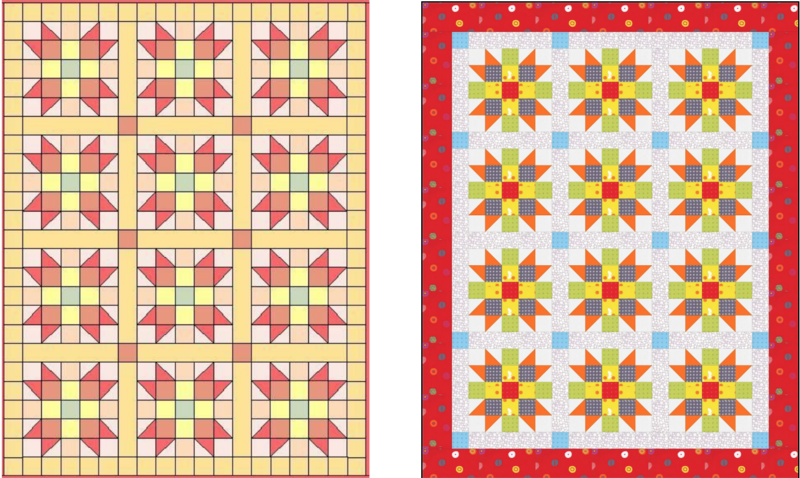 Learn to create endless layouts for a beautiful heirloom quilt. Learn GREAT tips for HALF SQUARE TRIANGLES! * Cutting instructions will be sent out before class.